Drowning is the second leading cause of death among young children to 14 years old. 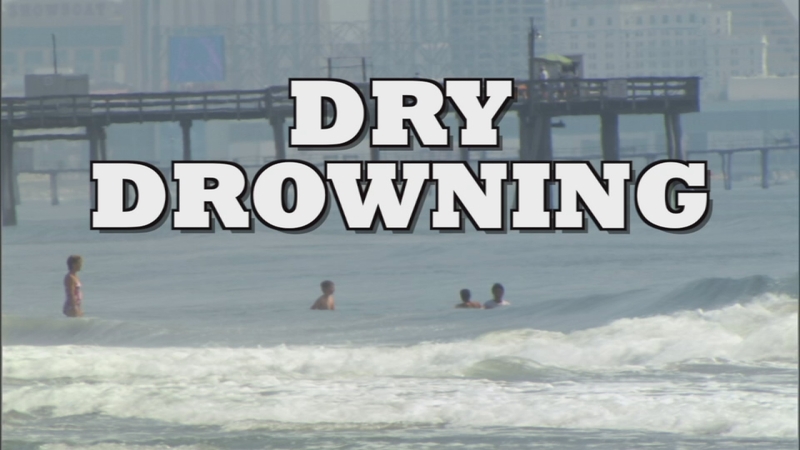 However, dry drowning is very rare, and only accounts for less than 2% of drowning incidents. According to the Centers for Disease Control and Prevention, for every child who dies from drowning, five more children go to the emergency department for nonfatal submersion injuries. Dry drowning happens when a child inhales water into the lungs. Vocal cords can spasm, causing breathing problems. Symptoms start to show once the victim is out of the water, between 1-24 hours after water exposure. Symptoms may include: distressful breathing, consistent coughing, vomiting, sleepiness, forgetfulness, and unusual behavior. Both adults and children can fall victim to dry drowning, but it is more common in young kids because their bodies are much smaller. Drowning can occur in any types of water, including: small plastic pools, ponds, bathtubs, and toilet bowls. Prevention includes swim lessons, supervision, and basic water safety. The term "dry drowning" has made national headlines recently, after a 4-year-old Texas boy, Frankie Delgado, died after swimming in a dike over Memorial Day weekend. Frankie's family wanted their son's death to be an important warning for parents. Staff Sgt. Garon Vega, a Colorado father, says he saw Frankie's story and saw that his own son was experiencing similar symptoms. Vega took his two-year-old son, Gio, to the emergency department. Vega said a doctor told him his son would not have made it through the night if he had not brought him to the hospital. MORE: Dad saves 2-year-old son after seeing story on Texas tragedy. If you believe your child is experiencing symptoms of dry drowning, get them to the emergency department immediately.